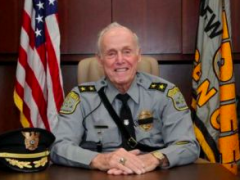 Ocean County Undersheriff William T. Sommeling is retiring after more than four decades in law enforcement, county officials confirmed Thursday. Sommeling is retiring from his post at the end of 2015 after completing the second of two stints in the position. 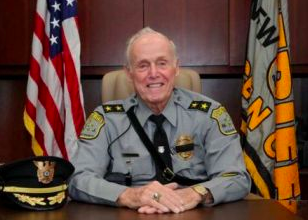 Sommeling first served as Ocean County Undersheriff from 1989 to 2000 under the late Sheriff William L. Polhemus. He returned to the position in 2011, following the sudden death of Undersheriff Wayne R. Rupert. During 2013, he served as acting sheriff following the death of Sheriff William L. Polhemus and continued on as undersheriff following the election of Sheriff Michael Mastronardy, who took office in 2014. Combined, Sommeling has served in that position for about 15 years. Brian Klimakowski, retired Manchester Township Police Chief, will be appointed to the position of undersheriff and will be sworn in on Jan. 6, county officials said. Sommeling started his career in public service in 1955 working for the Borough of Seaside Heights. He served in the Police Department there as patrolman, investigator, undercover agent and sergeant until 1967 when he moved to the larger Dover Township, now Toms River Township Police Department. He also rose to the rank of sergeant there after serving as a patrolman, detective, and investigator. He also was the department’s planning officer and project director for several programs that were funded through state and federal grants. In both towns, he did extensive undercover work on narcotics cases. Coincidentally, Sommeling worked road patrols with Mastronardy, who was then a young Dover Township police officer. “I am happy I could work with him and for him,” Sommeling said. Mastronardy said Klimakowski’s duties include overseeing the Ocean County Police Academy, Lakewood, training and technology for the department. Sommeling reflected on his time in law enforcement saying you are a police officer 24/7. “It’s on your mind all the time,” Sommeling said. He noted that the most satisfying times is when you know your actions have helped someone. Sommeling’s philosophy about the job is simple – anytime you can help someone, do it. As he prepares to leave office Sommeling said he will spend his leisure time visiting friends and family and spending time with his children, his 14 grandchildren and his eight great-grandchildren.